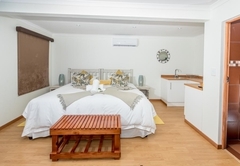 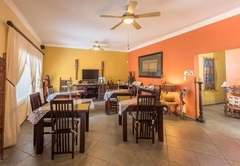 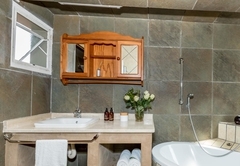 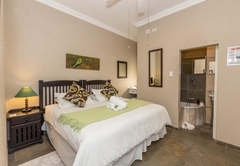 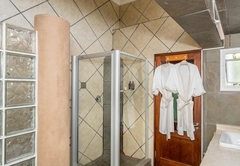 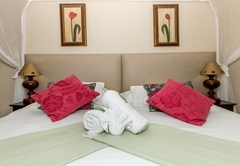 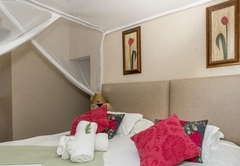 Beetleloop Guest House is a 4 star graded guest house with self catering option, offering Nelspruit accommodation for tourists and visitors of Lowveld Legogote. 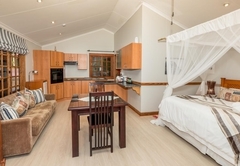 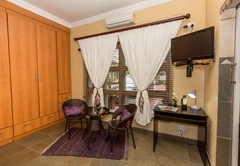 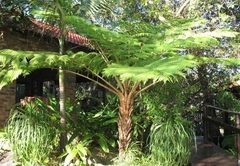 Beetleloop Guest House aims to tailor an overnight experience to fulfil every guest's individual requirements. 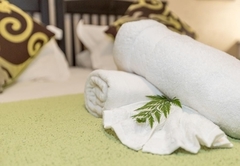 We offer complete comfort in a natural setting and a variety of options that will lure you back to experience more of our warm and friendly hospitality. 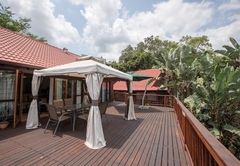 Situated in the heart of Nelspruit, yet nestling on the border of a nature reserve, Beetleloop Guest House will captivate your senses with its serene beauty and relaxed African ambience. 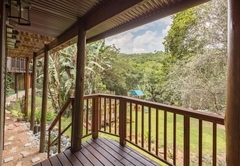 The wooden chalets blend beautifully into the surrounding bush. 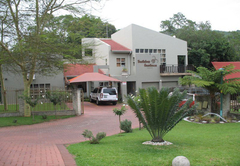 Here you will find tranquillity and peace - whatever the reason for your visit to Nelspruit may be. 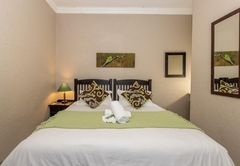 Indigenous trees attract a wide variety of birds, ensuring a fascinating and relaxing experience for the avid bird watcher. 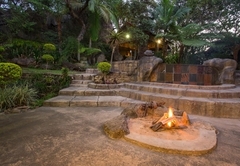 Small mammals like porcupine, mongoose and small antelope may also make an appearance. 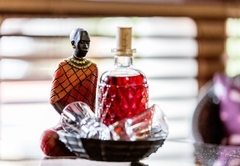 A variety of curios and objects’d art collected in several African countries like Uganda, DRC, Kenya, Zimbabwe and Mozambique will ensure a truly African experience. 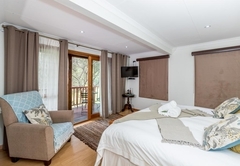 A romantic private wooden cabin hidden among trees and overlooking the Nelspruit Nature Reserve. 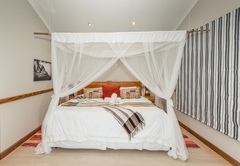 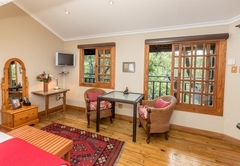 It is spacious and fully equipped with an en-suite shower, king size bed and its own private verandah. 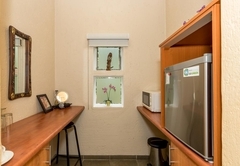 Indigenous trees attract a wide variety of birds, ensuring a fascinating and relaxing experience for the avid bird watcher. 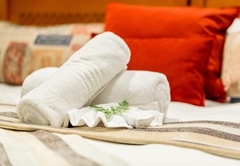 Perfect for romantic getaways, honeymooners or discerning executives. 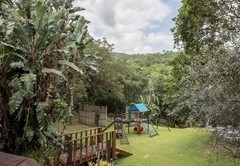 A large wooden cabin overlooking the Nelspruit Nature Reserve. 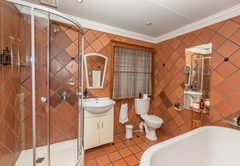 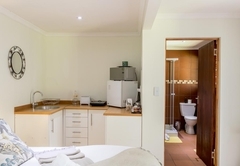 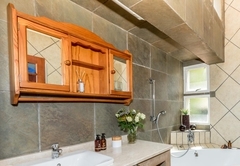 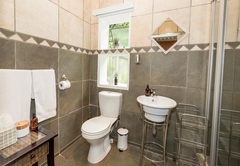 It has an en-suite bathroom with bath & shower and a private verandah. 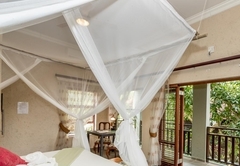 There are two extra length ¾ beds and a sleeper couch that folds into a double bed. 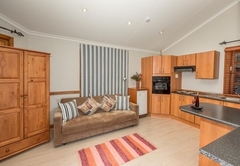 Equipped with a stove, oven and microwave. 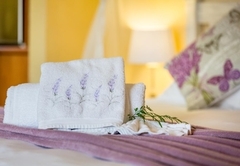 A spacious luxury room with two extra length ¾ beds, en-suite with shower only. 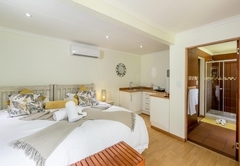 A luxury unit with extra length 3/4 beds, private veranda and en-suite bathroom with bath and shower (available as either a double or twin beds). 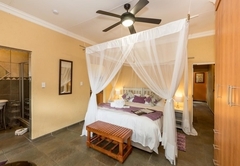 Queen size bed and en-suite bathroom with bath (available as either a double or twin beds). 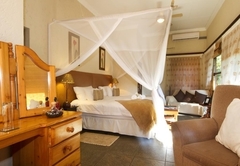 • Within easy reach of the Kruger National Park, Blyde River Canyon and Pilgrim’s Rest. 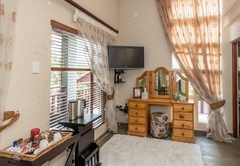 All these destinations can be visited in a day trip from Nelspruit. 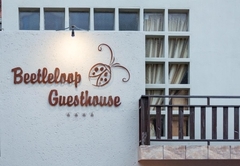 Response timeBeetleloop Guest House typically responds to requests in 5-10 minutes.